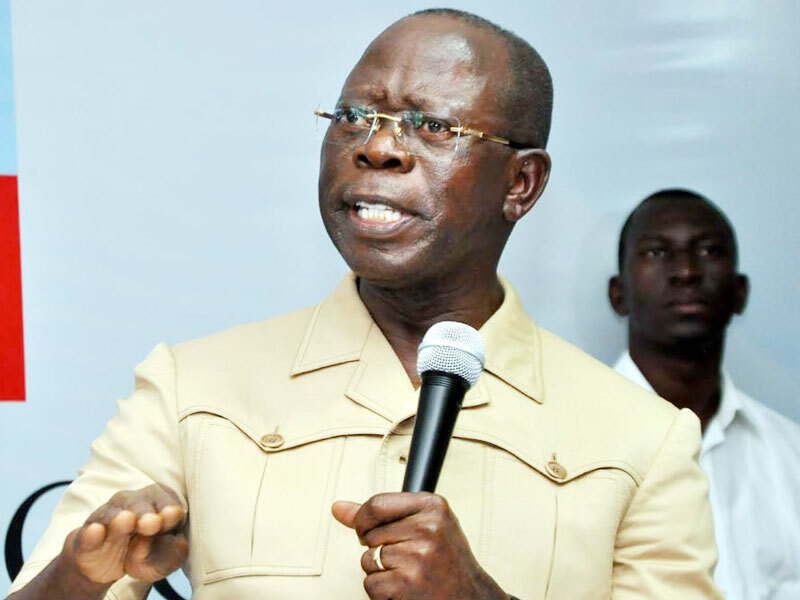 The National Chairman of the All Progressives Congress (APC), Mr. Adams Oshiomhole, has hit back at governors of the party that are reported to be moving against him, saying he would not succumb to their antics and impunity. He said contrary to insinuations by some of them and their allying stakeholders that he was out to liquidate the party, his mission was to galvanise the APC into a disciplined and cohesive platform ready to clinch victory at next year’s general elections. Oshiomhole’s fight back coincides with the intensification of efforts by governors to remove him from office. THISDAY learnt last night that 15 of 21 governors of the party, being coordinated by one of them from the South-west, are collecting signatures to force a National Executive Committee (NEC) meeting that would unseat the national chairman. 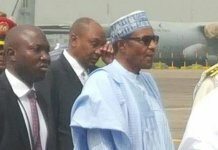 The governors, multiple sources told THISDAY, would be converging on Abuja tomorrow to finalise their objective. The party has also explained that it opted for consensus and made some hard choices in a desperate bid to meet the October 18 deadline set for submission of its candidates’ list for elections into the National Assembly. In a statement yesterday by his Chief Press Secretary, Mr. Simon Ebegbulem, the APC national chairman said while the party would not surrender its functions, which are constitutionally circumscribed, to any other entities, it would always reach out to divergent tendencies and mediate the disparate political camps in the interest of party cohesion. According to Oshiomhole, stakeholders should be assured that the party is in safe hands as it marches, sure-footedly, to victory in the 2019 general election. In an apparent response to criticisms coming from some governors elected on APC’s platform, Oshiomhole vowed that only the party, and not pseudo political empires in the states, had the power to superintend the primary elections for the nomination of its candidates in the general election. He said, “To be clear, Oshiomhole did not become national chairman of the governing party to bring it down a notch from the pedestal of its 2015 electoral victory let alone to preside over its liquidation. Oshiomhole who blamed those he referred to as “conservative elements” for spearheading a plot to pass a vote of no confidence against him, said their main grouse was his insistence on party supremacy and discipline. 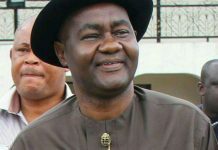 He noted that before his emergence as chairman, the party was wallowing in impunity and disrespect to laid down rules. He said he knew from the onset that those who supported the status quo that he supplanted would not cave in easily but will fight back. According to him, “Although, it might appear fortuitous to some persons that he became national chairman at the threshold of the 2019 general election, the truth is that there is no accident in predestination. Oshiomhole said the reforms he planned to bring about in the APC had begun to manifest in its vast flourish and ramifications, through instilling discipline, ensuring party supremacy, promoting due process, dealing with impunity and executive arrogance wherever they manifested to undermine intra-party electoral processes in the states. “Again, we were not, in the least, deluded that the process of rebranding or rewriting the narrative of the four-year old party would be easy. What we are witnessing in the APC today is Oshiomhole’s adroit management of the strains and pains that accompany the birth of a resuscitated governing party,” he said. Referring to the party’s handling of the primary election crises, Oshiomhole said the message was very clear that the party and not pseudo political empires in the states had the power to superintend the primary elections for the nomination of the party’s candidates in the general election. He said the leadership provided by the party in recent primary elections and the large-scale integrity of the processes were developments that should hence serve as exemplars in the administration of parties. Oshiomhole also responded to criticism by one of the presidential aspirants on the platform of the party, Alhaji Mumakai Unagha, who said the APC could not win under his leadership, describing it as cooked narratives from those who failed to impose their preferred candidates on the party during the nomination process. He said, “The crime committed by Oshiomhole’s leadership is its disdain for impunity and circumvention of due process perpetrated in some of the states at the pleasure of some influential stakeholders. 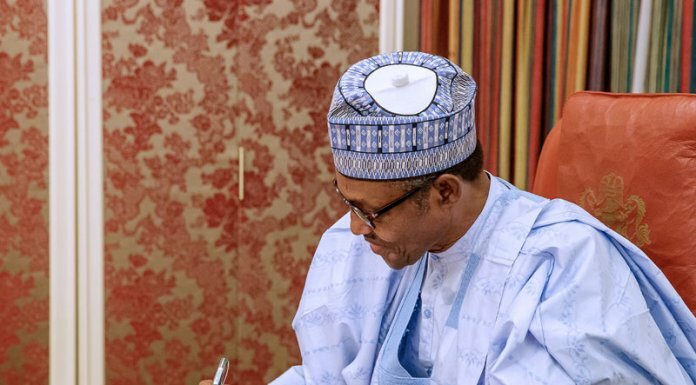 He said history would justify his efforts and that posterity would vindicate him as he and other party leaders moved to achieve the re-election of President Muhammadu Buhari in the presidential election scheduled for February 16, 2019. He urged those who lost out in the party primaries to imbibe the spirit of sportsmanship, bolstered by the fact that his leadership was propelled more by its interest in propriety in which victory for the party could be grounded. Meanwhile, the APC has stated that it opted for consensus and made some hard choices in a desperate bid to meet the October 18 deadline set for the submission of candidates’ list for the 2019 elections into the National Assembly. The ruling party, which was faced with an almost intractable dispute in some of its state chapters over the outcome of the governorship and legislative primary elections, had to lay back the consensus option that appeared politically correct at the time. The APC’s National Publicity Secretary, Mallam Lanre Isa-Onilu, who spoke with THISDAY yesterday, explained that the party adopted consensus to resolve issues where there were dispute. “In many cases where we had issues with our primary elections, and did not rely on the outcome of such primaries, we went through the process of consensus. That was replicated in many places,” he said. “For the Zamfara State primary election crisis, he said that the party had to choose between the available options of direct, indirect and consensus to resolve the logjam. According to the party’s spokesman, “No it is not about resolution, the position of the party remains the same, that there was a primary election in Zamfara State. We mentioned the venue and the date. He said there was no particular issue in Zamfara State, to warrant the special attention being given it. He said there was primary election in Zamfara but the fact that the Independent National Electoral Commission (INEC) wrote that there were no primary election in the state stirred up issues. 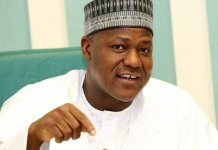 “We have submitted names of candidates for the legislative seats in Zamfara State and for all other states,” he maintained. On the reported case where the Governor of Ogun State, Senator Ibikunle Amosun, threatened not to support the APC’s candidate in next year’s governorship election due to the failure of his favoured candidate to pick the ticket, the APC Spokesman said it was mere speculation. “The statement was allegedly released by his commissioner, not by him. Even if it was by him, it is still within what politics allows. 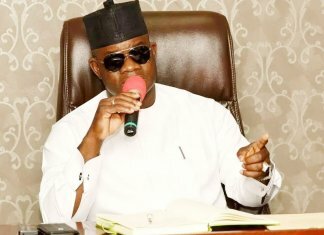 The governor has a right to express his interest and as a leader in APC where there are issues, it can be resolved through the party mechanism and I am sure that the party will do that, there is nothing to worry about in this regard,” he said. However, it was learnt that the party employed tact in the handling of the matters that arose from the primaries, especially in the states where there were legal matters. As part of the strategies to prevent possible backlash from the outcome of the primary election, the party had kept the list of candidates it submitted to INEC secret. A source said the leadership of the party had to rally its legal team to advise it on the steps to be taken in dealing with the primary election crisis. Apart from Zamfara, other states where the APC may have employed the consensus option include, Rivers, Cross River, Adamawa, Niger, Imo and Nasarawa. In the case of Zamfara State, the source told THISDAY that the party relied on legal advice by the spokesman of the Muhammadu Buhari Campaign Organisation, Mr. Festus Keyamo (SAN), who was asked to draft a reply to the INEC’s letter. 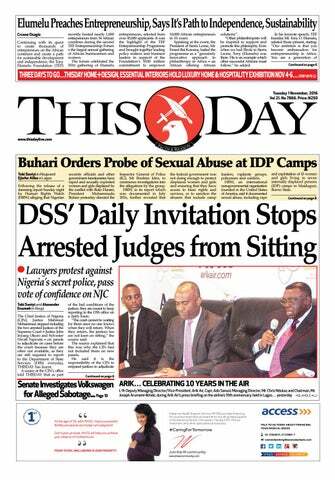 THISDAY gathered that what APC did to meet the INEC deadline had opened up a new crisis pitting the leadership against aggrieved aspirants and vested interests who felt short-changed. Aggrieved aspirants have continued to storm the national secretariat of the APC with their supporters to vent their anger.